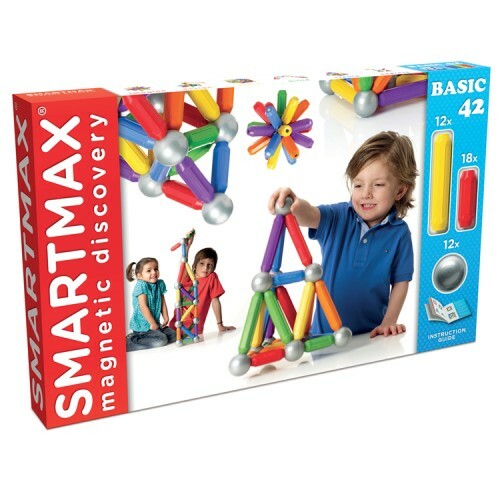 From geometric shapes to whimsical creatures, with this jumbo magnetic Smartmax Basic 42 pc construction toy tots can build anything they can imagine. 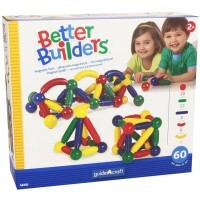 Toddler and preschool builders can build anything they like with this jumbo sized bright colors magnetic building toy. 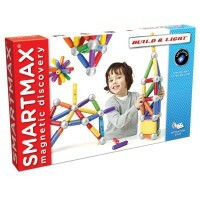 Smartmax Basic 42 pc Magnetic Building Set combines chunky sized magnetic building parts that are made to last! 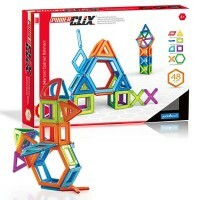 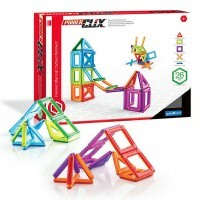 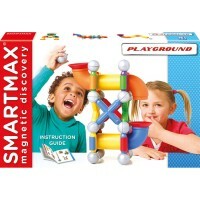 This toddler magnetic building set by Smartmax features 42 colorful pieces including 12 long magnetic bars, 18 medium magnetic bars, and 12 non-magnetic metal balls. 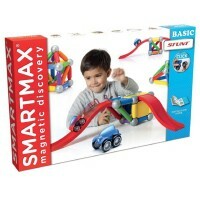 The Smartmax Basic 42 pc Magnetic Building Set comes with the detailed full-color construction guide. 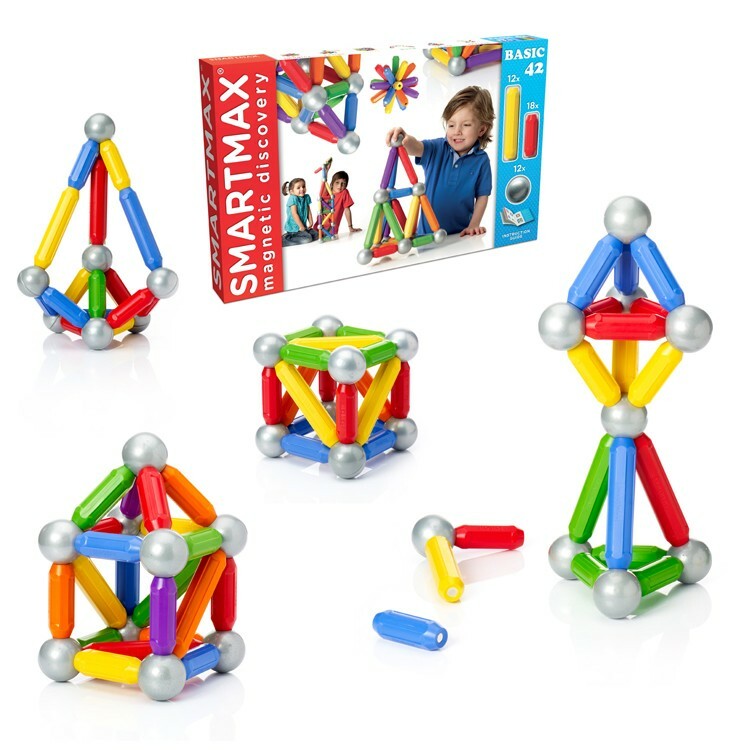 From geometric shapes to whimsical creatures, with this jumbo magnetic construction toy tots can build anything they can imagine. 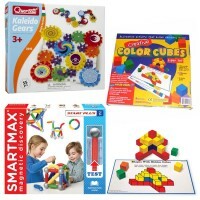 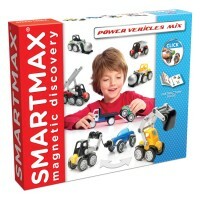 SmartMax magnetic building sets comply with all US toy safety regulations. 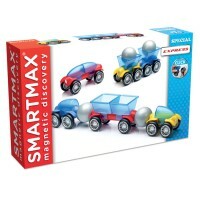 The Basic 42 pc building toy is compatible with all other Smartmax magnetic sets from Educational Toys Planet. 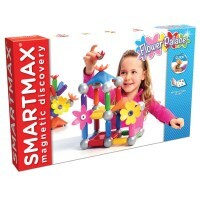 Dimensions of package 2.38" x 22.38" x 13.88"
Write your own review of Smartmax Basic 42 pc Magnetic Building Set.